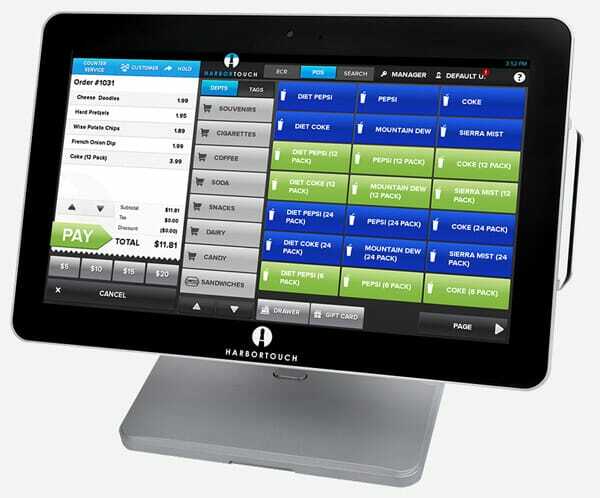 Harbortouch is your complete POS system including POS software, hardware, and integrated merchant services. Perfect for restaurants, retail, bars, salons, small businesses and so much more. Contact us for a quote or compare prices so you know you’re getting the best deal. Contact us to apply for Harbortouch’s free point of sale offer. Get approved for free hardware and software; a flat monthly fee covers service and support. Get free installation on Elite from our national Certified Technicians. New! Get a free Ingenico iPP320 EMV credit card reader with every Hospitality POS terminal you order. We know purchasing new POS software and hardware for your business can be very expensive, especially if you have to buy all the hardware and software upfront. Paying substantial upfront costs for new touch screen terminals can be a burden on your business. Harbortouch’s free POS software program can free up financial resources for other essential purchases for your business. With our retail and restaurant management system, you get reliable, feature-rich, state-of-the-art equipment that includes modern point-of-sale software and hardware with no upfront expense – all while maintaining a low, predictable monthly service and support fee so you can focus on taking care of customers and running your operations. Combined with affordable merchant service rates and integrated credit card processing, you’ll only have one company to call for all your support and merchant services needs. 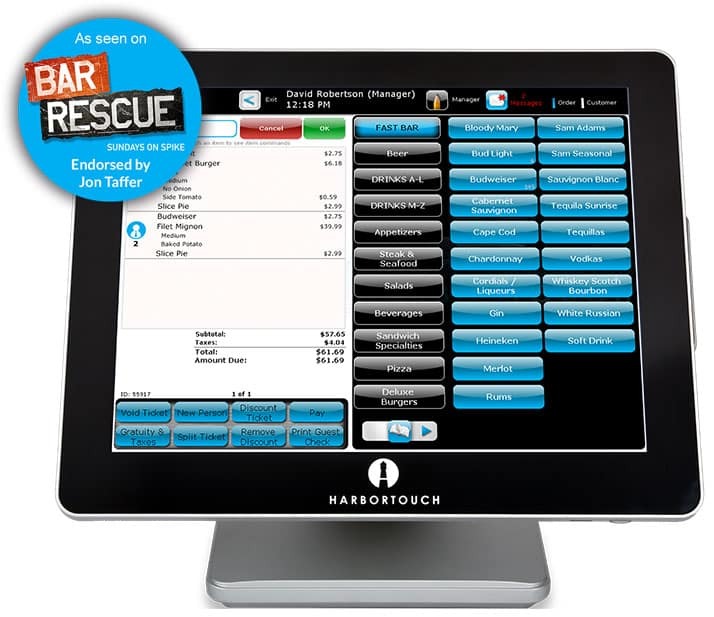 Our product lineup currently includes a dedicated smart bar and restaurant POS system called Harbortouch Bar and Restaurant or (HBR), Harbortouch Checkout for retail shops, Harbortouch Salon and Spa which is dedicated POS system software and equipment for salons, spas, massage parlors, hair salons, and nail salons, and Harbortouch Echo for small businesses. There is not another free POS system program like this available by any other POS companies in the industry, so take advantage of this offer today! Now only $29 Per Month! The Echo small business POS system combines the functionality and speed of a traditional touch screen terminal with the intuitive design of a tablet at a very affordable price. Harbortouch Echo is an Android-based tablet solution that is designed to be an upgrade or replacement for a cash register or point of purchase system. Even though we do offer a free cash register, Echo is for merchants that would like something more robust and a little more intuitive over a traditional cash register. If you need something more advanced for larger restaurant environments, we recommend our top of the line restaurant POS system, Harbortouch Bar and Restaurant. Designed for smaller restaurant and retail merchants, Echo is perfect for those looking for ease-of-use and simple functionality in a tablet register while maintaining a very affordable price point. Echo also has a small footprint with a 13.3″ touchscreen display and is designed for quick and easy setup with our simple set-up wizard for those who want to do-it-yourself. Our Echo terminal is perfect for the following environments and more! Echo base package comes with a 13.3″ touchscreen display, cash drawer, receipt printer, front-facing integrated customer display, employee cards (5), and a keyboard. To see how much Echo costs, visit our pricing page to see prices and to compare systems to validate you’re getting the appropriate system for your business. If you have questions about our free retail or restaurant POS software by Harbor Touch or would like to learn more about our merchant services or credit card processing fees, contact us anytime and get a live online demo, quote or contact us to sign up today!